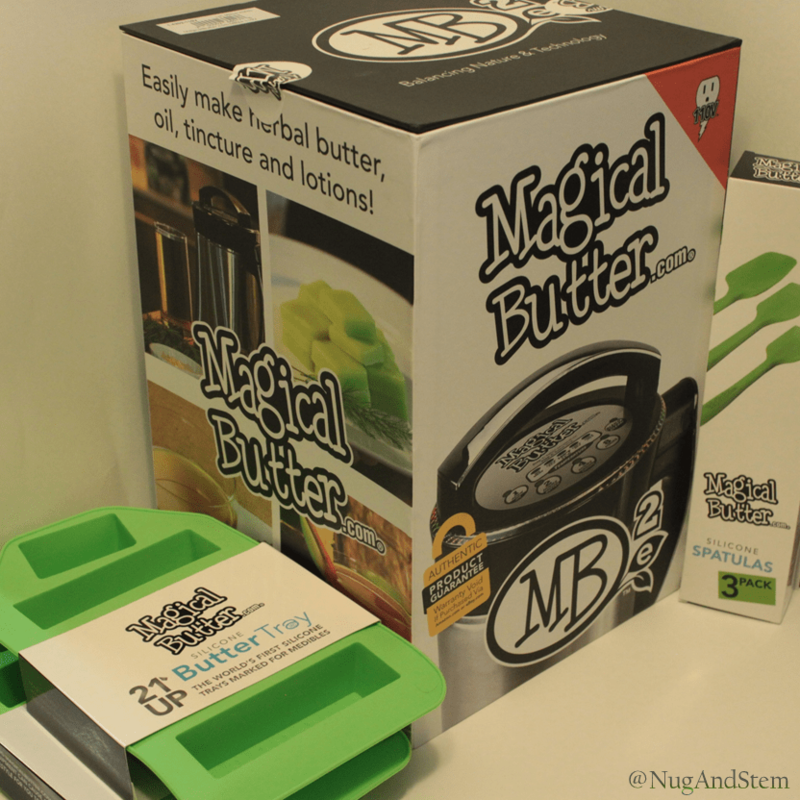 MagicalButter Review - Professional hands on, step-by-step with photos. 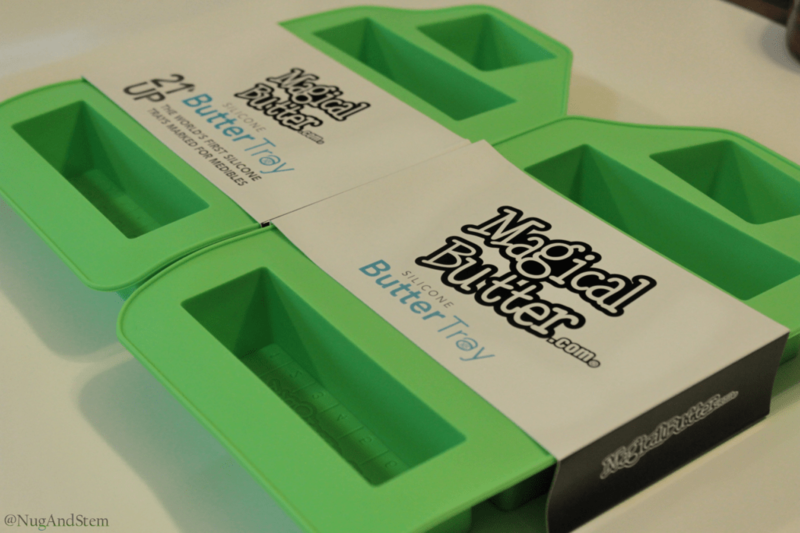 The MagicalButter machine comes housed in great packaging with an attractive external design. The outside of the package is covered in colorful images that show what the product can be used for. The box has an easy to remove the lid and no loose styrofoam. You do not need a cutting tool to open the box. The machine and accessories are well secured by two quality styrofoam pads that protect the product both at the top and bottom. You will definitely want to keep the packaging to stow away the machine after use if you do not plan to keep it on your countertop. The MagicalButter machine itself feels sturdy, while not being too heavy. The metal components seem to be made of high-quality stainless steel that should not rust or corrode. 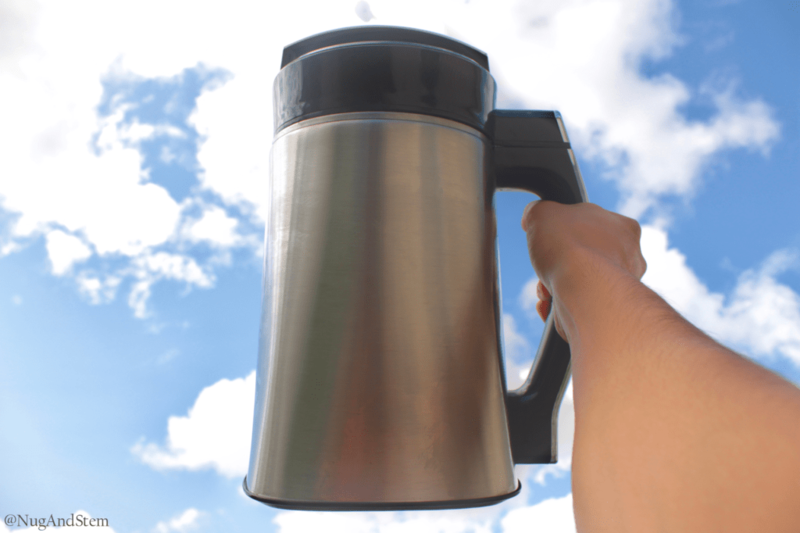 The plastic components – especially around the lid handle and side handle – do cheapen the product slightly, but not so great that it changes the overall feel. The buttons on the top lid are clear and are of high quality. There are rubber feet at the bottom of the machine which should stop it from moving around while in operation on most surfaces. Still, you will want to use this on a nonslip level surface as it has a motor inside. The power cable is too short for our liking – it’s length is around 51in or 130cm. This is not a huge issue but it could cause problems for some people. One useful feature of the cable is that it detaches from the base so you can clean the base easily; without the cable getting in the way. The device is discrete and fits in with all of the other appliances on our counter. It looks like a kettle, and unless someone opens it, they will likely never suspect a thing. Not only that, but we think the machine does look good – stylish, but not too over the top to draw any attention. This came as a big surprise, but the product instruction manual is fantastic. Not only does it help you operate the unit seamlessly, but it also has recipes that are actually good. If you are someone who typically throws out manuals (like we are), make sure to curb that habit with this one. It’s definitely a keeper! The MagicalButter machine comes with a cleaning cycle mode. They say to add a drop of dish soap at the bottom of the machine and to fill between the minimum and maximum lines with water. It is very simple to use, and we definitely love this feature as we are usually too lazy or baked to clean. This is a great way to prepare your machine quickly before starting your infusion process. When rinsing, ensure you avoid getting the top lid wet – that is where the electronic bits are! For our first test, we decided to use 20g of cannabis with what we hoped would be 2 cups of butter. This was about halfway between MagicalButter’s minimum and maximum recommended amount of flower per cup of butter. We chose 10g of a strain called Sweet Tooth and 10g of good quality shake. Both of these were sourced from Candelivery. Our oven is not calibrated, so we don’t know how accurate it is, but we heated it to 250F. We placed the cannabis in a Pyrex square glass pan and covered it in tinfoil; we did not grind the nugs, but the shake was almost all finely ground. The MagicalButter manual does recommend decarboxylating non-ground nugs. Once the oven indicated it had preheated, we placed the Pyrex in there and removed it after 30 minutes. 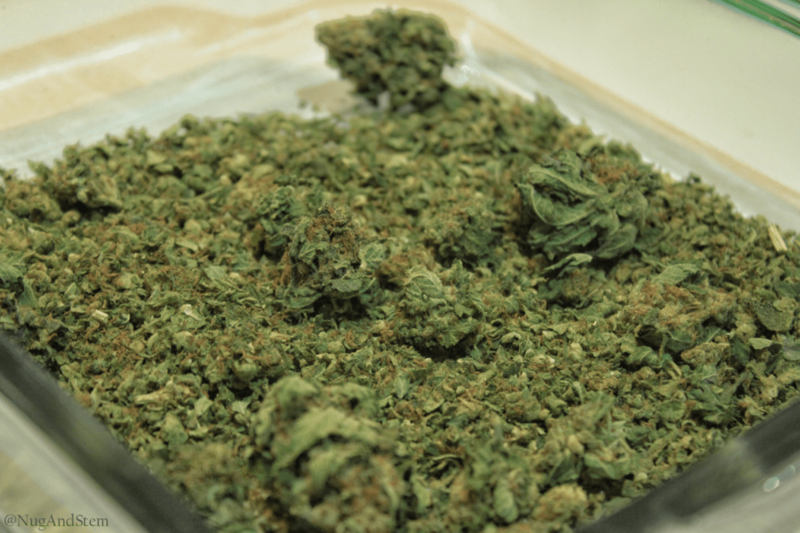 When we took it out, the cannabis did not look as brown as we had expected, but we didn’t have any way to assess or test how well it had decarboxylated. 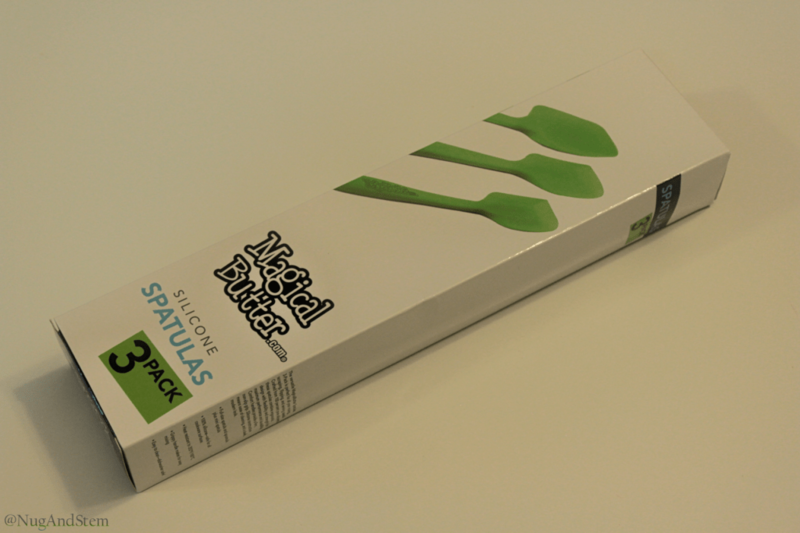 We don’t know how good the oven really is at keeping temperature, but to solve this problem MagicalButter has a product called the DecarBox, which we will also be writing a review of! While we let the decarboxylated cannabis cool down in the freezer, we focused on preparing the butter. We cut 1 pound (2 cups) of unsalted butter and placed it in a large glass bowl. We microwaved it slowly to melt the butter, which helps to separate and clarify it. Once it separated, our butter had a little bit of scum at the top, which we spooned off. We then poured the clarified butter – trying to avoid pouring the solids remaining at the bottom into the machine as much as possible. Once we poured the golden butter in, we realized that we no longer had 2 cups of butter, and the level was slightly under the minimum amount level indicator. We suggest buying pre-clarified butter, so you do not waste the butter solids as we did. You can also find many other methods for clarifying butter. 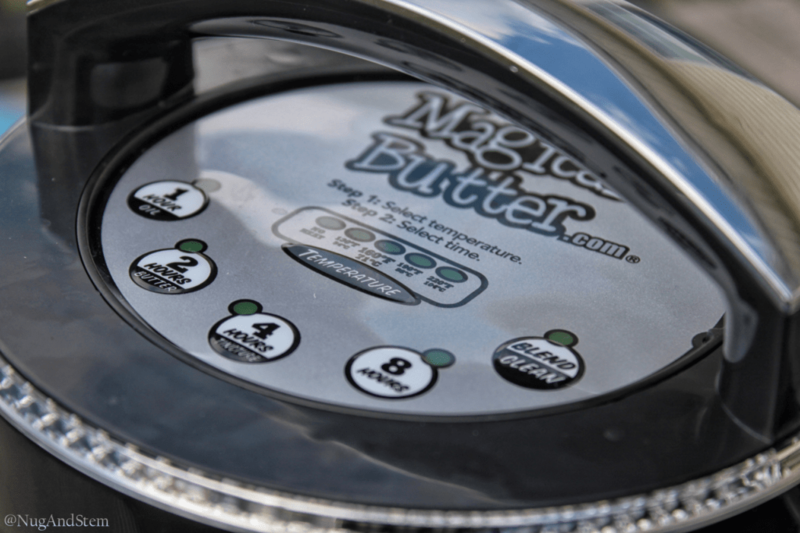 Once the butter was added to the MagicalButter machine, we added the cooled down cannabis. We then added our liquid soy lecithin. We closed the lid and selected the 160C setting and started the 2-hour butter cycle. Even though we were a bit under the minimum liquid level, the machine started. Word of warning: When we started the machine, we quickly realized one side of the lid was not closed. Do make sure the lid is perfectly closed before starting the machine. Unfortunately, there is no snap or click when it is in place, and we do wish there was something to more easily ensure the machine was closed properly. There is no sensor or security feature to stop you from operating the machine without it being closed. We assume to avoid pressure vessel regulations, MagicalButter did not want the machine to close tightly. However, we still believe they need to make sure that it is easier to be confident the machine is closed properly in future iterations. Once the machine started running, we were surprised by how quietly it operated. Even when the mixing blade runs, it is relatively quiet for being a mixer on a motor. The motor seems to go on for short bursts and is never on for a long time. Be careful though – this may scare you the first time it randomly starts. We hate waiting, so this is the worst part of using the machine – but if that’s the worst you can say, that really isn’t bad. We used the time to clean everything we had dirtied to that point. From what we can tell, there is no way to tell how long into the cycle you are, which isn’t a function that’s absolutely needed, but it is annoying not knowing. We recommend you pay attention to the time you started or set a timer elsewhere, so you don’t drive yourself nuts. We did not start a time or check the time when we started it out of sheer excitement. While running we found that the machine never got too hot on the sides, and it did not start steaming heavily. Surprisingly, we found that there was not a lot of smell emitting from the machine. If anything, there may have been a light pleasant scent, but there was certainly no negative or foul smells produced by the machine. Unfortunately, there was no way that we could tell to know that the cycle was completed. We felt that we went a lot longer than 2 hours but the lights did not turn off. We referred to the manual and decided to turn off the machine. We really should have timed it ourselves, but it would also be very nice if the future iterations of the machine could have a timer on the lid. 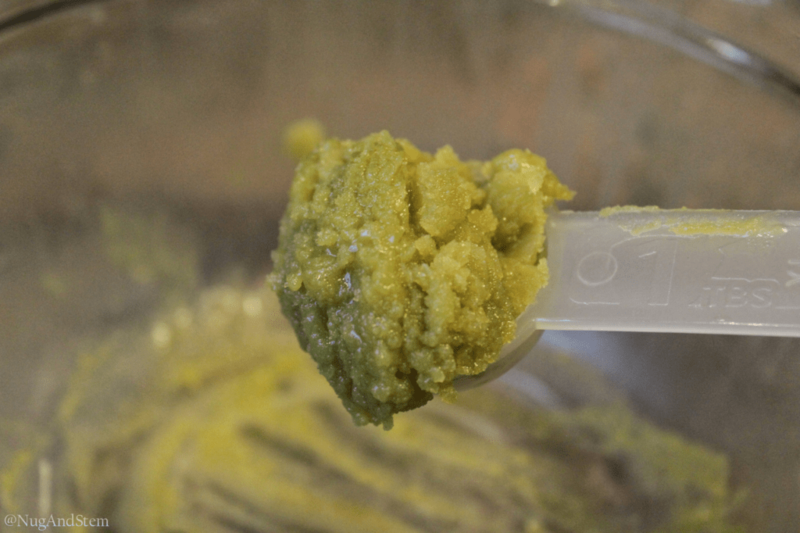 Make sure you have clear counter space to work with for filtering the cannabutter. We worked mostly over the sink. 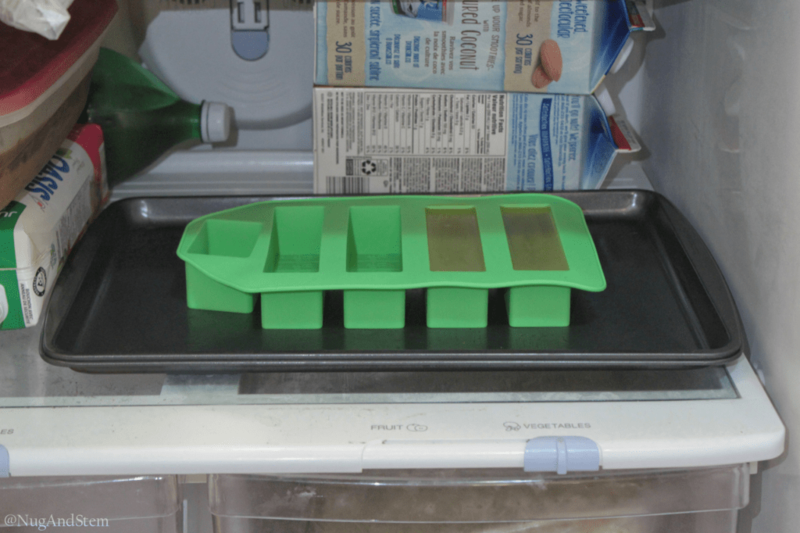 Before we started straining the cannabutter we placed the silicone Butter Tray on a flat sheet pan so that we could move it into the fridge for curing more easily. We held the filter in our hand with a Love Glove closely over a big glass bowl and strained it out. It came out very clean. We then used a plastic ladle to transfer the butter into a Pyrex measuring cup and poured from that into the Butter Tray. 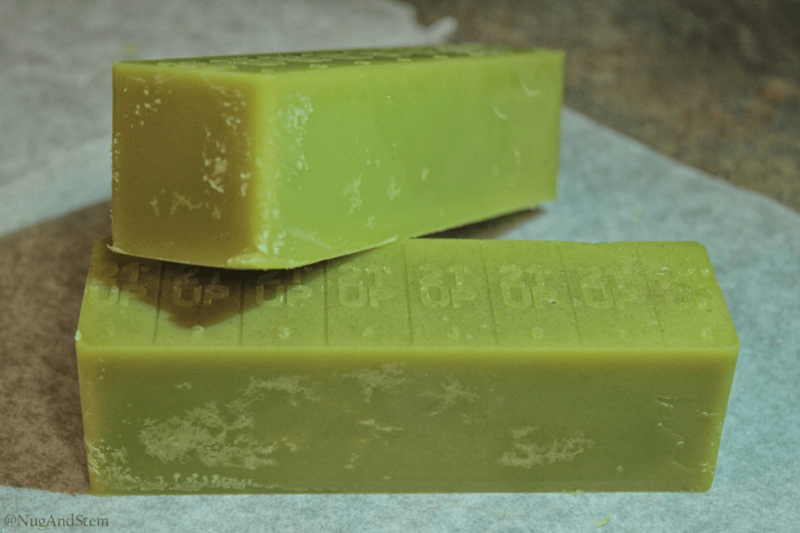 From one pound of butter, we got half a pound of finished cannabis-infused butter. We lost a lot of it in the clarifying process. Word of warning: The glove did get really slippery, and it became impossible to lift the glass bowl with it. It is pretty much only useful for squeezing the butter out of the filter. It is also can be a bit clunky and loose on the hand since it’s supposed to be one size fits all. The butter did smell and look amazing! We were blown away by how well the infusion worked. We had to run the cleaning cycle twice (adding more water and soap the second time), and it still didn’t clean the device completely. Not sure what if we did something wrong or if it is just difficult to clean fried butter with their cleaning cycle. We ending up using a sponge and cleaned the inside and the mixer – while being careful to only clean the metal parts. We also cleaned the Love Glove with a sponge and soap. We hand cleaned the filter and found it best to turn the filter inside out. It is very difficult to get every bit of butter and cannabis out of the filter mesh. We put the glassware and spatulas into the dishwasher. There was still a bit of cannabutter left in the bowl so we decided to make some Rice Krispie squares by melting the remaining butter with marshmallows and adding Rice Krispies. They were super tasty and packed a nice mellow hit! Our first experience with the MagicalButter machine was very positive. It is definitely a process anyone can follow – even first-timers like us who were enjoying flowers the whole time. Some small modifications to the machine, such as a timer and a way to tell if the lid is closed, would improve the experience. The filter worked really well, and the butter turned out way better than we expected. We made the butter on a rainy day with a few friends. It is a perfect afternoon activity for your weekend. The smell was not bad at all and neither was the noise. We initially thought to do it outside, but then ended up doing it inside with no regrets. The butter hardened well in the fridge in the Butter Tray, and it came out of the mould easily. The bars of butter are picture perfect, and we packed them in parchment paper and a ziplock bag. The colour is great, and there are almost no solids of flower in it. Anyone can make this! It is an incredibly easy machine to use. And the product it produces is of high quality, which for us, is the best part. 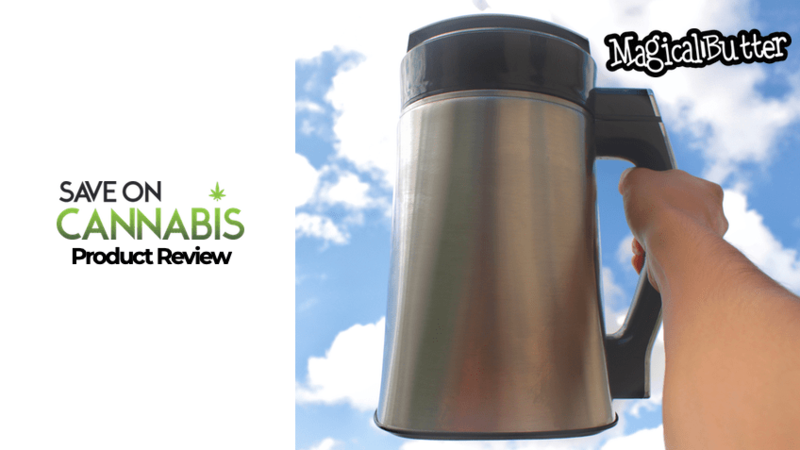 Finally, it should be noted that just because this review focuses on the cannabutter making process, this machine is capable of infusing all sorts of oils, kinds of butter, and tinctures with more than just cannabis. Should You Buy The MagicalButter? The spatulas are okay, but any spatula will work for this process. 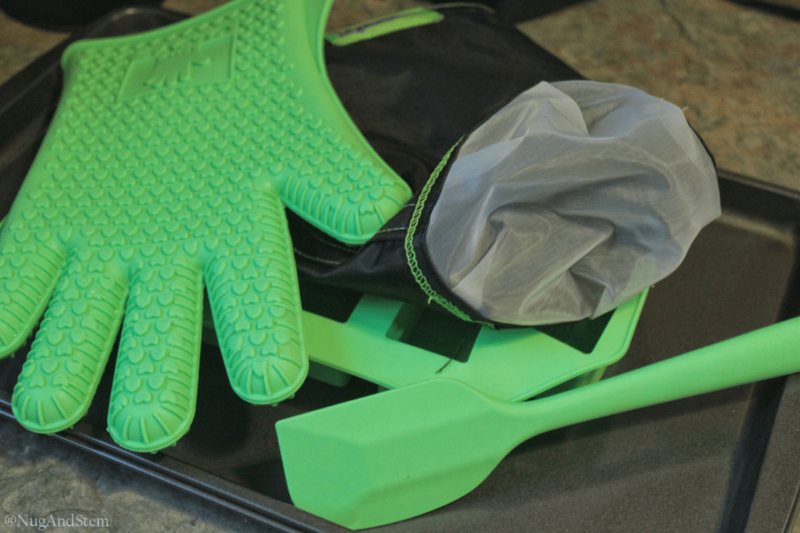 On the flip side, it is nice when a product that works well for one specific job is versatile for other tasks – and if you do buy these spatulas, you will find lots of use for them. 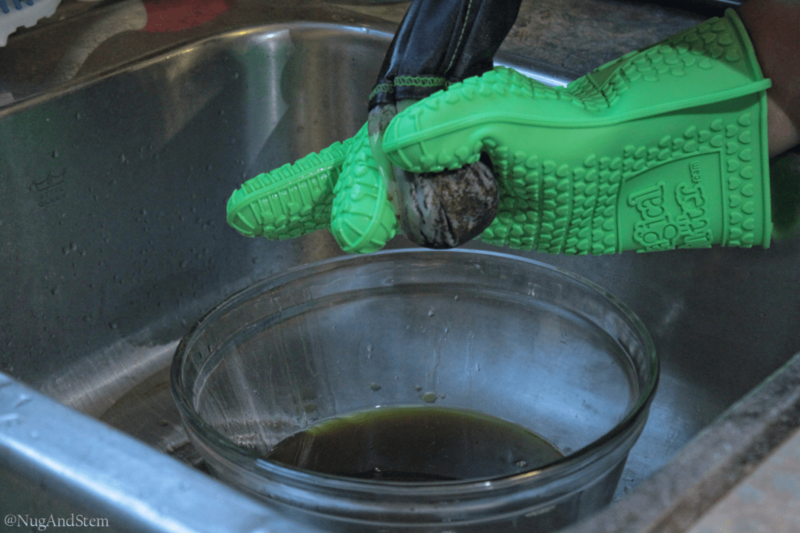 They do a good job at what they need to do, and they clean great in the dishwasher – especially if you rinse right after use. This is 100% worth the money. The best feature of the Butter Tray is that it is very easy to see the tablespoon segmentation lines once you take out the butter. The bars pop out very easily due to the flexibility of the silicone. It works very well, and the butter pops out easily in half cup bars. The tray can also be placed in the dishwasher for easy cleaning. It is worth noting that the trays feel very solid – they should definitely last a long time. It is impressive how well the product itself works and how easy it is to use. There are some minor issues which offer the potential for improvement, but they are most certainly not critical issues. We would consider the cost to be a medium range. Definitely not crazy expensive, but we understand that it’s not affordable for everyone. If you already like to make edibles or are interested in starting, this machine is an incredibly solid investment. 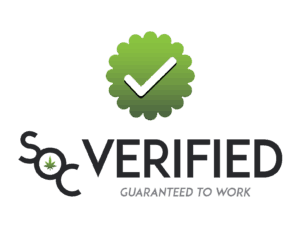 Make sure to check out our other cannabis cooking coupons here.